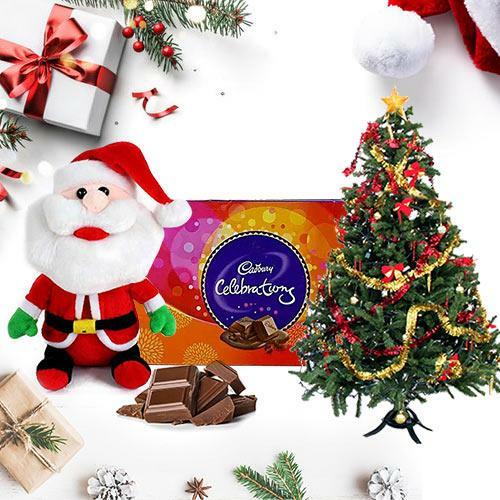 Assorted Chocolate ( Cadburys Chocolates 160 Gms.) with Small Santa Claus and Small Christmas Tree (1Ft. Artificial).